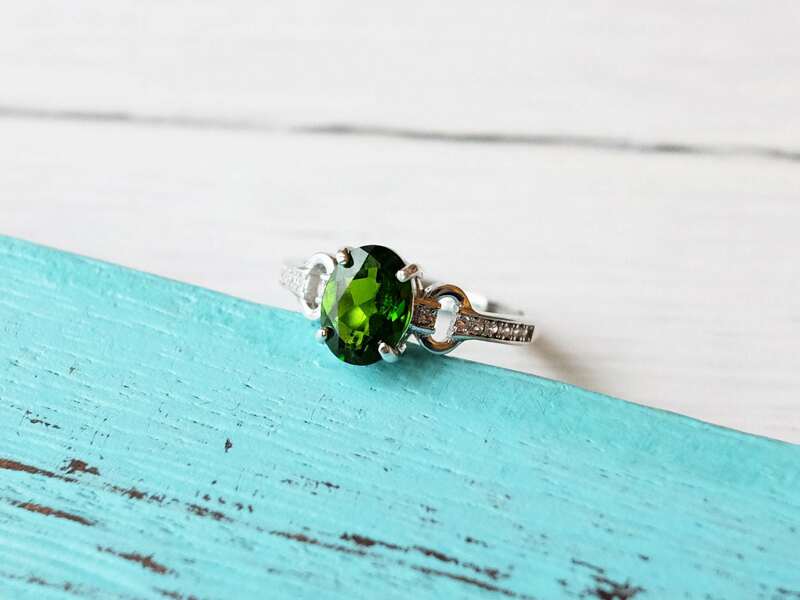 This sterling silver ring uses a genuine chrome diopside faceted stone. 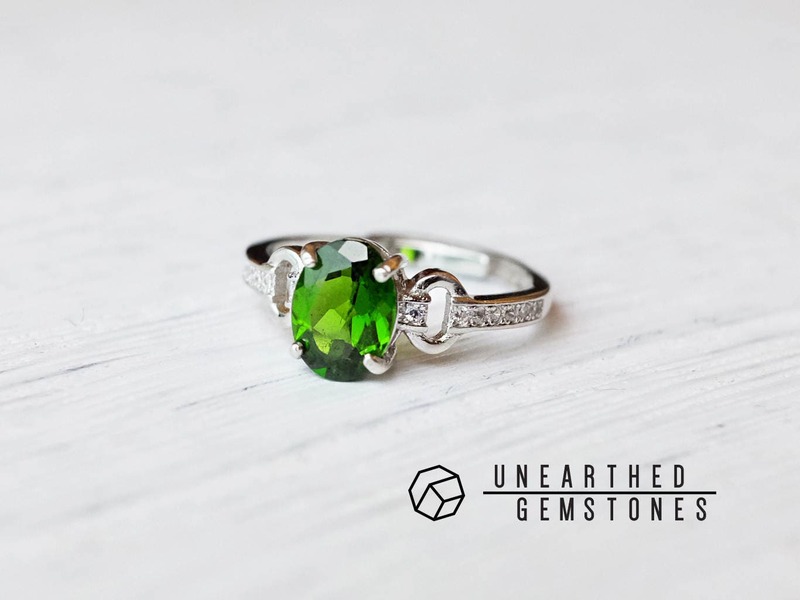 The color is a vibrant forest green, which is a great color for chrome diopside. 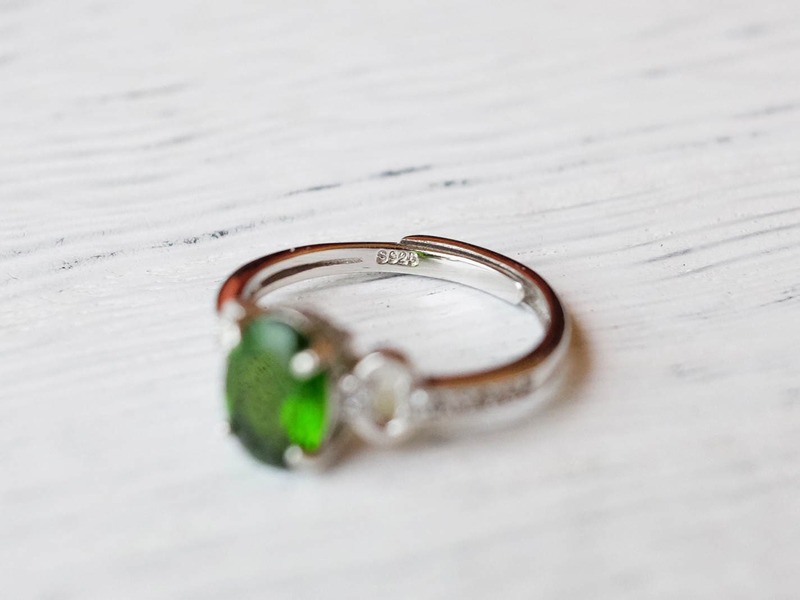 Its color is so rich that it is considered an alternative for emerald. 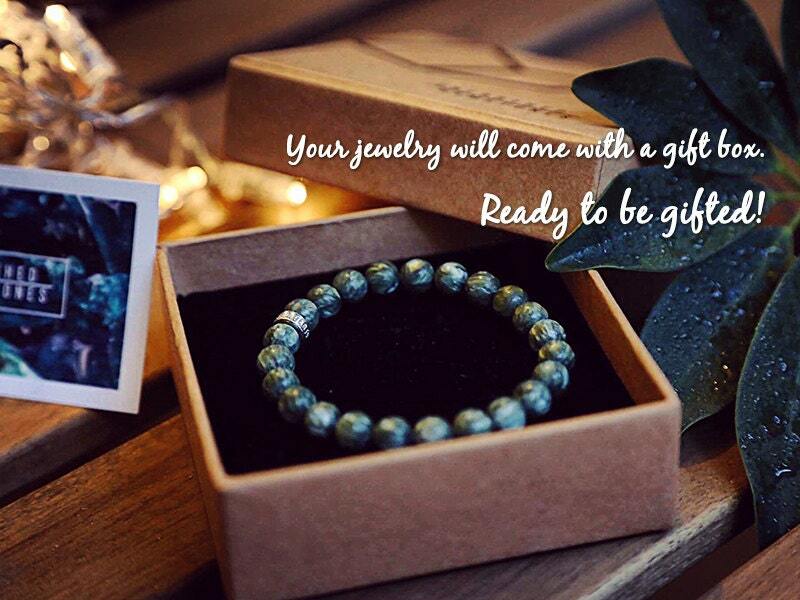 The clarity of the gemstone is very high with only small flaws in the crystal. 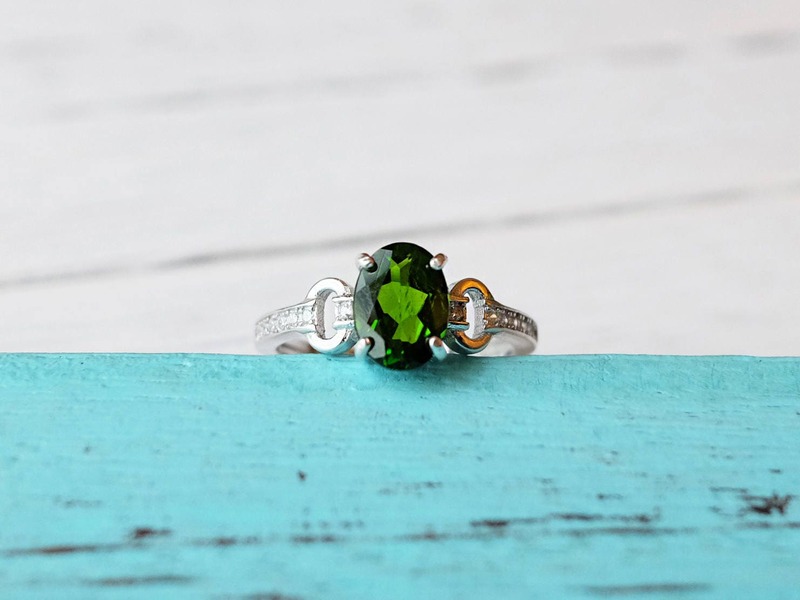 The chrome diopside is set on an adjustable sterling silver ring. The ring will fit best for US size 6-9.